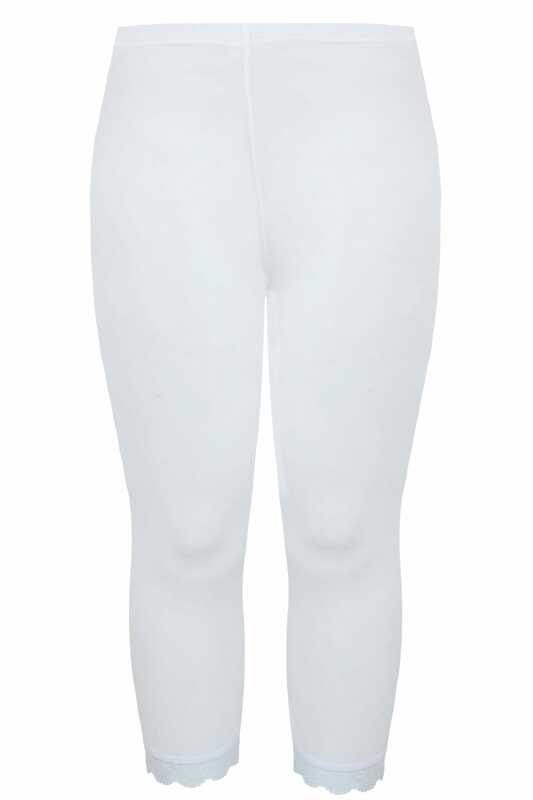 Inside leg length (approx): 54cm/21"
Plus size white plain cotton leggings with lace hem detail. Made from 5% elastane for extra stretch. Wear with a lightweight vest and sandals for a super comfortable summer daytime outfit.